Jack Ma is becoming the equivalent of a free money factory. 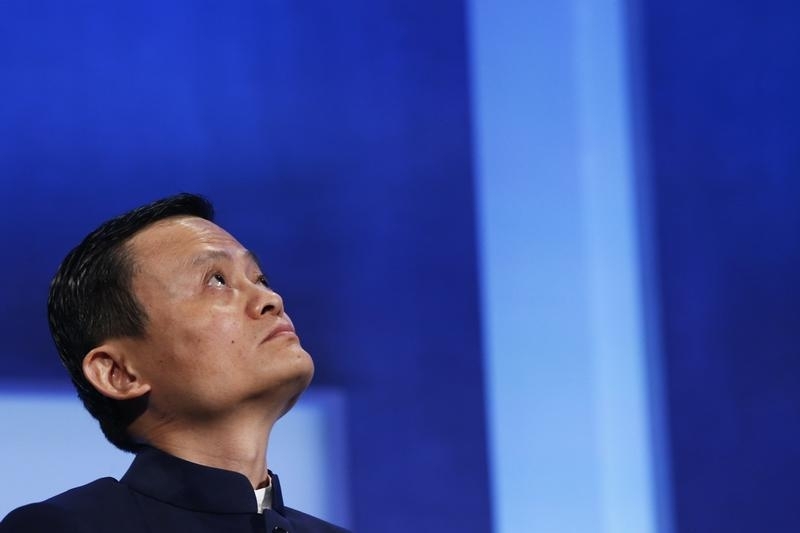 The Alibaba chairman appears able to turn ordinary companies into stock market stars just by lending his name to them. It’s a skill that mainly seems to benefit a select group. The latest recipient of Ma’s Midas touch is Reorient Group, a Hong Kong-listed investment boutique. For most of the past five years, the company’s shares never traded above HK$5. But the arrival of a group of investors led by a private equity fund founded by Ma has transformed its prospects in the eyes of the market. On the morning of June, 1 Reorient shares soared to HK$23.50. It’s hard to see why shareholders are so animated. The group led by Yunfeng Financial is injecting $501 million in return for an 81 percent stake. The new investors, which include a Chinese software executive and a property tycoon, have negotiated very favourable terms: they are buying new shares for just HK$2 each – a 78 discount to Reorient’s last closing price before the announcement. Their plans are extremely vague. The main source of excitement is a hint that Reorient may acquire “internet financial business”, which could be an oblique reference to Alibaba’s unlisted financial affiliate, Ant Financial. Ma, who will indirectly own around 11 percent of Reorient, according to Breakingviews calculations, has so far not commented on the deal. It’s not the first time that Ma’s name has acted as a virtual printing press. In April, Alibaba transferred a small pharmaceutical business to Hong Kong-listed Alibaba Health Information Technology. Its shares promptly surged. In January, an investment from Yunfeng helped lift the value of Guangzhou Baiyunshan Pharmaceutical, a maker of herbal teas. Reorient’s new shareholders have seen the value of their stock rise more than tenfold, producing a paper profit of more than $5 billion. Not bad for a morning’s work, even if they had to agree not to sell for 18 months. Less obvious is what the company, which earned less than $100 million last year, could do to realise such high hopes. For insiders, however, the money produced by Ma’s factory is all too real. Reorient Group announced on May 29 that it had agreed to issue 1.94 billion new shares to a group of investors including Yunfeng Financial, a private equity group whose founders include Alibaba chairman Jack Ma. Reorient said it would sell the shares at HK$2 each, raising HK$3.89 billion for the company. The issue price is a steep discount to the market price of HK$9 on April 20, the last day that Reorient shares traded before the announcement. Following the deal, Yunfeng and four other investors will control 81 percent of Reorient. Shares in Reorient soared on June 1, reaching HK$23.50 by midday in Hong Kong. The investor group offered few details for its plans, but added that it was “possible” that the group might acquire assets “such as internet financial business” in future.